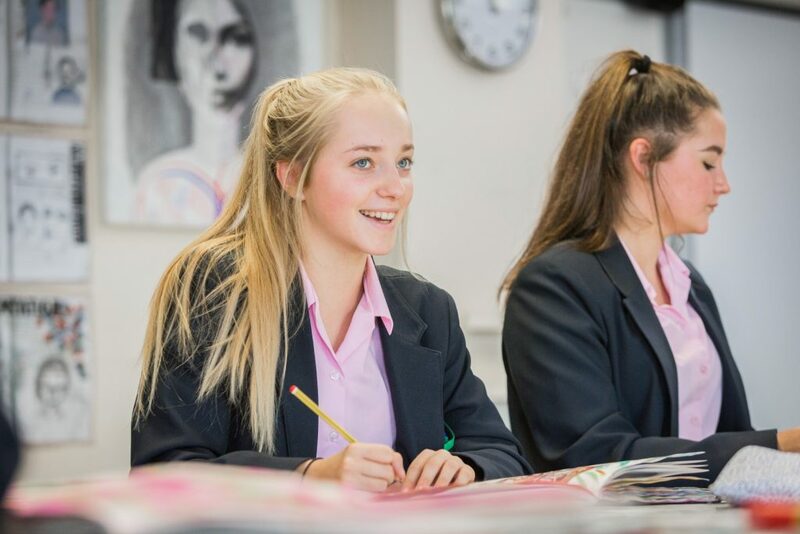 Our aim is to give students a broad understanding and appreciation of the visual world, through making art as well as analysing, engaging with and reflecting upon artwork. Students are actively encouraged to take pride in their work, become confident using a variety of media and to develop their own creativity. We aim to introduce students to traditional and contemporary artists as well as designers, photographers, different cultures and craftspeople. As the world becomes increasingly image-driven, it is vital that all students develop and improve their visual literacy, being literate now means not just reading and writing, but understanding the impact images have on our lives. The Art Department is situated in two fully furnished art rooms. We have the facilities to work in a variety of media, including painting, mixed media, textiles, three-dimensional work and printing. We also use our ICT Department to access a range of digital software and produce artwork using new digital media. In Years 7, 8 and 9 students follow a structured scheme of work that provides basic building block skills as well as opportunities to creatively interpret set briefs. This Learning Scheme includes projects based on topics such as Landscape, Identity, Culture and Human Form. Each student works in their own sketchbook to record observations, experiment and design final pieces. 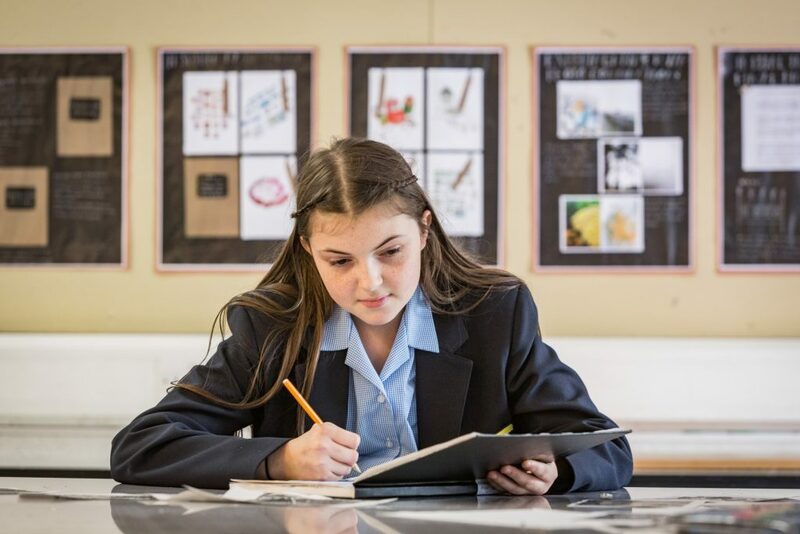 All students are taught Art up to Year 9, when a large number opt to continue their studies at GCSE. At GCSE, students are encouraged to develop more refined skills and critically analyse their own and other artists’ work. This allows them to understand the context of their work and the inspiration behind different types of artwork. During the GCSE course students complete three projects based on themes such as Marine Life, Close Up and Whimsical Creatures. These projects comprise 60% of the final GCSE grade. At the end of the course, students complete an externally set task which comprises the remaining 40% of the GCSE grade. This involves students selecting a question from an examination paper and then producing their own personal response to the theme. In Year 7 students carry on projects on Colour, Mark Making and Landscape, below are a selection of images from their sketchbooks and final pieces. You can also see the work produced in the department by following the art department at prentonhighart on Instagram. Students are encouraged to attend extra-curricular activities at lunch and after school, where they can develop their learning and skills. They can also enter regular photography competitions and take part in residential trips in Years 10 and 11. The Art Department has links with local galleries and artist studios which give our students valuable opportunities to work with local artists and visit current exhibitions.